Runner’s knee and upper cervical chiropractic care? This original story appeared in the Fall 2013 NUCCA News, the quarterly newsletter of the the National Upper Cervical Chiropractic Association. 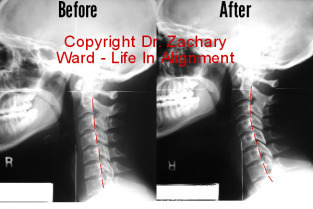 It was part of one of three very different stories about healing through upper cervical care. This true-life story comes from Dr. Nathan Wheat, and was written by Dr. Zachary Ward. Amanda Stevenson decided to get healthy and that running was going to be her way to do it. But when a common leg injury reared its head, she discovered getting her own head on straight with Dr. Nathan Wheat was key to getting her back on track. With just six weeks until an upcoming 20K race, Amanda did not think she was going to be able to run. But her stride and her pain would quickly change after a visit to NUCCA chiropractor, Dr. Nathan Wheat. Not only was Amanda amazed that she could return to running so quickly, she was amazed to successfully complete her 20K race without any problems in her knee. As Amanda continued her care under Dr. Wheat, she noticed she started achieving faster running times. For interval training her miles now come in at under 7:30, four minutes faster than when she first began running.